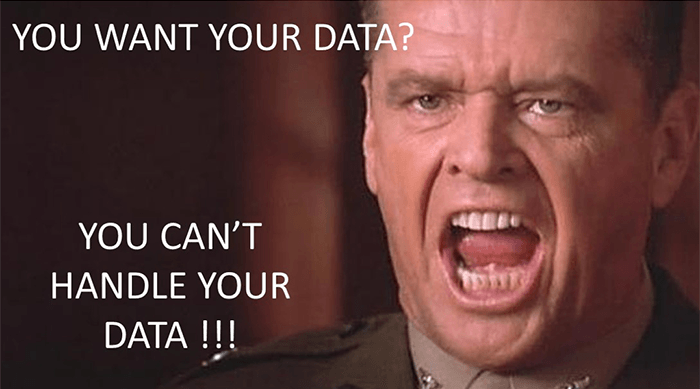 You Can’t Handle Your Data!!! We say YES! WE! CAN! Visualization tools and summary reports are great. But sometimes, WE WANT THE DATA! We created .BIG™ files so we could download millions or even 100s of millions of records easily, quickly, and securely. The Exponam Explorer™ empowers us to view, filter, and sort .BIG files instantly. We can find data and transfer it seamlessly to MS Excel. Try it yourself! Download the Exponam Explorer. It comes pre-installed with sample .BIG files. And then, tell your IT team that you want to download your own data with .BIG files.